Celebrate your fall home search; you might just have the upper hand in negotiations. Hear us out: One obvious reason is that it's easier to get from open house to open house without questioning if you'll need an AC repair ASAP upon moving into that home for sale in Phoenix, AZ. Also, families on a mission to move into a new home before school starts are out of the picture. 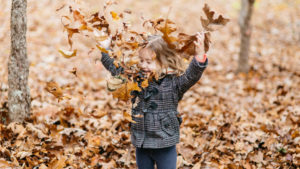 Besides these two more obvious reasons, here are seven expert insights on why you should consider a fall real estate purchase. Competition for houses drops off in the fall, a time many people consider to be off-season in real estate. But there are still homes for sale - and in some cases, there's just as much inventory as there was during the spring and summer. "[Fall] means new inventory and re-positioned old inventory that did not sell in the prime season," says Wesley Stanton, a New York, NY, agent with The Stanton Hoch Team. This puts you in a great position to negotiate. "Fall homebuyers should consider [making] low ball offers, followed by more aggressive negotiation," says Brian Davis, a real estate investor and director of education at Spark Rental. Davis points out that many sellers are very motivated to sell before the holidays. If possible, buyers should let these sellers know that they can close before Thanksgiving or before the school winter break. Some sellers who put their homes on the market during the prime selling times of spring and summer might have been a tad overconfident by listing their homes for more than buyers were willing to spend. After months of no action, these sellers are often ready to make a deal. "Sellers who were unrealistic earlier in the year about price will now be more willing to reduce the price come fall," says Thomas Miller, a Washington, DC, real estate agent. "Because there [are fewer buyers] and because the sellers are now eager to sell, they are more inclined to take the low offer than wait another six months for spring to come around." Not all homes on the market in fall are summer leftovers. Some people need to sell in the fall because the timing is right. Maybe they were having a home built, and it's now ready. Maybe they need to move because of a job. "The sellers with houses on the market in the fall tend to be serious," says Sam Heskel, president of Nadlan Valuation, an appraisal management company in Brooklyn, NY. "That means sellers could be more open to negotiating and accepting a lower offer." First-time homebuyers, take note: Although you can't escape paying income tax, you can make a dent in what you owe when you become a homeowner. "Property tax and mortgage interest are both deductions you can take for your whole year's worth of income, even if you closed on your home in December," says David Hryck, a New York, NY tax adviser, lawyer, and personal finance expert. "Any payments that are made prior to the closing of the loan are tax-deductible. This can make a serious difference in the amount you owe the government at the end of the year." Did you know that burglars have peak seasons? They do, says Sarah Brown, a home safety expert for SafeWise.com. "July and August are prime months for burglaries to take place," she says. "Waiting until the fall [to buy] gives you an advantage when learning about a home and the neighborhood." You'll be settled in your home and can take precautions - like setting up that new alarm system - before the next burglary season rolls around. Note: Check Trulia's local maps with the crime filter before you buy. Because spring and summer are ideal times to buy a home, real estate agents are usually busier then. And that could mean you might not always get the attention you want. This is also true for other professionals you're working with to buy a house. "Service providers, such as mortgage lenders and title companies, are moving out of the summertime sales swamp and can often respond more quickly," says John Lazenby, president of the Orlando Regional Realtor Association in Orlando, FL. The same goes for movers. "Because summer is peak moving season, people often experience more delays and service issues, such as moving companies reaching capacity and running out of trucks to pick up shipments," says Jack Griffin, president and chief operating officer of Atlas World Group. "The probability of experiencing a delay goes way down in the fall season." There are bound to be improvements you'll want to make after buying a house. You'll also probably need to buy items to maintain your home, and if appliances weren't part of the deal, you'll need those too. Wouldn't it be great to coordinate your home purchase with sales on items you'll need? According to Consumer Reports, the calendar determines when it's a good time to buy all sorts of consumer goods. In particular, September is a great time for buying carpet and paint. October means lawn mowers go on sale, and appliances and cookware are cheaper in November. Did you buy your home in the fall? Would you recommend buying in the fall real estate market? Let us know in the comments!